Dan Abrahams delivered a great presentation on “How to Help Players High Perform Time and Again” at the latest United Soccer Coaches convention. Abrahams works with world class soccer players in his role as a sports psychologist and after hearing about his approach I don’t see why the same principles and methods for soccer psychology couldn’t be introduced to youth soccer players. After working with many talented athletes and seeing how a simple mistake in a match can impact the rest of a player’s game Abrahams has studied extensively how soccer mindset drives performance and also how automatic negative thoughts can impact performance. Dan helps players manage those negative thoughts by creating a mental structure they can use in training and games to prepare for the moments when their mindset suffers. If you haven’t paid much attention to soccer psychology and how understanding the brain can help players prepare to play and handle mental setbacks then there’s a lot to learn from Dan. One method Abrahams uses is helping the player come up with a mental “Game Face”. In this process he has the player describe the best game they’ve ever played and what specifically they’re doing and how they’re feeling in that game. Then he has them imagine their best “dream” game and also describe their feelings and actions on the field in their ideal performance. Dan works with the player to create a persona that encapsulates the attitude and performance they describe. As part of that he has them identify a current player who embodies many of those attributes they describe in their dream game. They give that persona a name and that becomes their “Game Face”, that’s how they strive to play. Here you can see one of the players for the US Women’s National team that he worked through this process with and one of the slides he shared for her example. Players might have a tendency to pick Messi or Ronaldo as their model player because they’re such big names but ideally they would choose someone who played a similar position or has similar responsibilities on the field. For example if your daughter chooses Alex Morgan as her model player but she mostly plays defensive mid-fielder then her ideal game wouldn’t really have the same attributes as a great game by Alex Morgan. Instead a player like Julie Ertz who plays the 6 for the USWNT would have a lot more similarities in the types of things she might do in her best match. This is another good reason to watch soccer with your kids, to help them find players they can identify with and look up to as role models. What are 3 words that describe how you played when you had the ball? What are 3 words that describe how you defended? What are 3 words that describe what you did when your teammate had the ball? What are 3 words you think your coach would use to describe you in that game? What are 3 words you think your teammates would use to describe you in that game? What are 3 words you think the other team would use to describe you in that game? What 3 things are you most proud of about that game and how you played? Younger players probably won’t be excited to sit down and write about it because that feels like homework. As an alternative, you could “interview” them about their best game. We got a few lav mics to take along to the convention for interviews and as you can see in the picture we tried them out beforehand by doing interviews with our kids about various subjects ranging from their favorite soccer players to the latest Harry Potter book they just read. One way to do it would be to hook up your kid with a mic on the drive to practice and interview them about their best game ever. 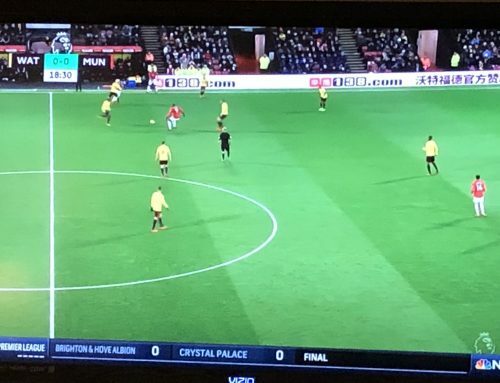 Or you could do it on the drive home, right after they’ve finished a training session so soccer is on the brain and they’re a captive audience. We used the Rode SC6-L Kit Mobile Interview Kit and did the interviews on our phone, worked really slick. If you don’t have the equipment you could just do a quick video on your phone at home and go through the questions while recording them. Another nice thing about an interview approach is you can drill down into their responses with follow up questions. If they’re sitting down and writing answers they probably have a tendency to rush through but a conversation format lets you dig deeper. 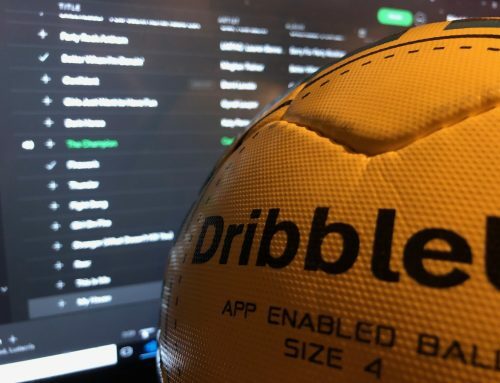 Abrahams also helps players create a match script that describes how they prepare for a match and also defines 2 or 3 things they can control during a game. The examples he gave were pressing quickly, covering space, and organizing defense on set pieces but it would obviously be player specific. This is a cool idea since there are so many factors a kid can’t control about a soccer game that can cause negative thoughts and mindset to creep up. Giving them a few concrete things they know they can influence can give them a place to focus their attention if things aren’t going well in a game. The points shouldn’t depend on the action of others and shouldn’t be outcome based. For example, instead of saying “don’t let the other team score” it could be, “stay between my mark and the goal at all times”. It can also be good for reflection after a game. We try not to talk about the game on the drive home unless they’re excited and want to re-live parts of the match. However, that night or the next day if they feel badly about the game you could go over the match script and talk about which things went well and which things didn’t. Dan makes the point that this persona and mindset that you develop with a player isn’t just for gameday – they should also bring it to training and use it to push themselves as they train so they can do the necessary things during a game. Abrahams points out that it’s important to have that mindset present in every training session and that it should be there right out of the gate, starting with the warmups. I know this can be a really big challenge for youth teams since the level of focus can vary widely between players depending on the age and maturity of the roster. It’s tough to influence a whole team’s mindset but you can focus on individual players and helping them bring that mindset to training. After time if you can get enough players on a team having that mindset at practice then your training environment is more focused and the few players that aren’t as locked in really stand out and might adjust their behavior once it’s obvious that they’re the squeaky wheel. For coaches Abrahams points out that it can be common practice for a coach to be tough on performance but tolerant on mindset. Having a player create a Game Face and match script makes it easier for a coach to have higher expectations on mindset because now the player and coach have defined what is expected. This makes it easier to talk about it and point out gaps. So rather than just generally saying, “Come on girls, let’s focus” now you can relate it more specifically to the kind of player personality the want to have. Dan also reminded us that it’s important for the player to come up with their own Game Face and match script. The coach working with the player to create it does help build a closer player/coach relationship and also gives the player ownership over it. The definition of this structure is unique to each player so takes time to create but once in place it can help the coach in multiple ways. One example he gave is that a coach can take a training session and make it more difficult to the point where it really tests the player’s limits. As they struggle the coach can remind the players of the high performance mindset definitions they came up with and use those to motivate them to stay focused and intense. Since those ideas and expectations are defined now the coach can talk about them to the team and team leaders can use them to remind and encourage their teammates. Abrahams gave an example of a player he worked with who really wanted to make a certain team but was nervous about how they’d perform in tryouts. The trouble with tryouts is that it’s easy for automatic negative thoughts to pop up and impact a player’s performance. So he helped her prepare by focusing on creating her high performance mindset and her “Game Face”. Tryouts are usually a time of anxiety for youth soccer clubs and their players (and parents) so this Game Face could be a good way to help prepare for that. Obviously you can’t decide to try it the night before tryouts and expect results so it’s a good thing to start a month or more ahead of time to help a player enter the process with more confidence. Dan Abrahams was definitely one of my favorite presenters at the coaches convention. I wish I would have recorded the whole session. I got a few clips on my phone that I can share but hopefully these notes give you somewhat of an idea of what he covered. 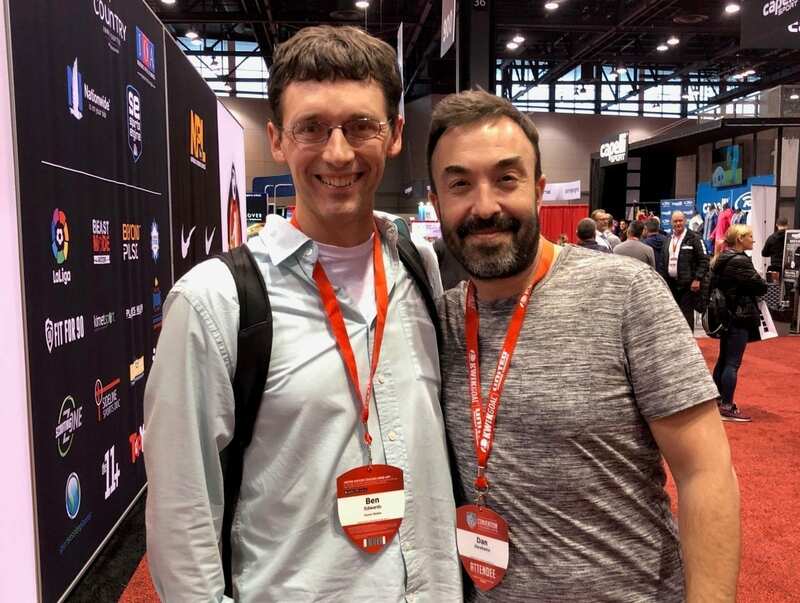 If you’re not able to hear him speak in person you can always check out the Dan Abrahams podcast called “The Sport Psych Show” and he also wrote two soccer books for players, Soccer Tough and Soccer Tough II that I’d suggest checking out.